With that in mind, I bring you this year's Outguess Ebert Contest. The first prize will be an all-expenses paid trip for two to Los Angeles to attend a Hollywood premiere. Runners-up will receive personally autographed copies of my Roger Ebert's Movie Yearbook 2012. Ground rules: (1) Anyone in the United States can enter, unless such contests are prohibited where you live. (2) Yes, you can enter online; go to Outguess Ebert. In fact, that is the preferred mode of entry. (3) Deadline for submissions is 5 p.m. CST on Friday, Feb. 24. In self-defense, I will point out that the deadline for my predictions was Feb. 7, with the Oscars more than two weeks away, on Feb. 26. Predicting so far in advance is a handicap, and as a result, you have an excellent chance of outguessing me. Still, this annual contest is fun and provides me with an opportunity to show how badly I can do. 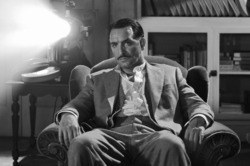 Best picture: "The Artist" is one of those underdogs that surges into the lead late in the season, like "Chariots of Fire" or "The Hurt Locker." It's an enchanting (almost) silent comedy, shot (almost entirely) in black and white, and although I wasn't surprised that the critics loved it, my eyes were opened when it won the Golden Globe for best comedy/musical. Best actor: I was all wound up to select George Clooney for "The Descendants," but some last-minute instinct leads me to Jean Dujardin, as "The Artist." I believe to some degree the academy voters think of themselves as casting the show -- choosing winners who can be trusted to deliver sensational acceptance speeches, as Roberto Benigni did in 1999. Dujardin is a likable man who has charmed his way through the talk-show circuit, at one point belting out "La Marseillaise." Clooney is a Hollywood favorite but his role was more solid than spectacular. His speech would be sound and respectful. Best actress: Viola Davis for 'The Help." In a way, Meryl Streep's many nominations will work against her. She'll get another chance, the voters will figure, and "The Iron Lady" (2012) was a cold and distant role (do you know anyone who "loved" the film?). "The Help," however, was enormously popular, and Viola Davis was its moral center. Ever since her nomination for a powerful scene in "Doubt" (2008), she's been circling to land. 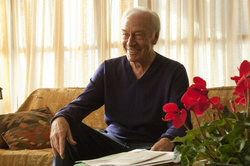 Best supporting actor: Christopher Plummer, for "Beginners." Voters love an actor who steps out of his image, and Plummer, as a gay man who comes out at 75, was playing a character that audiences liked very much. He looks clearly like the front runner in this category. 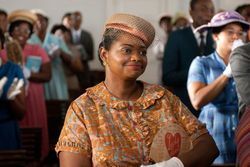 Best supporting actress: Octavia Spencer, once again indicating that it helps for a nominee to have played a lovable character. In "The Help," she plays a spunky woman who says what she thinks with uncanny comic timing. Melissa McCarthy has a similar role in "Bridesmaids," which may give her a chance. Jessica Chastain was in many roles during the year, but "The Help" did not provide her with the best one. Best director: There's a rule that almost always works for Oscar predictors: The director who wins the top annual honor from the Directors Guild of America almost always wins the Oscar. My instincts cry out that Martin Scorsese will win in this category, and you might be well advised to choose him. But in the past, every time I've gone against the DGA precedent, I've been wrong. 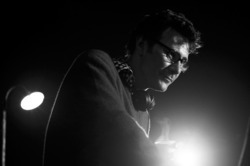 On Jan. 28, the DGA Award went to Michel Hazanavicius for "The Artist." So I'm going with him. Best animated film: The hyperactive and entertaining "Rango" by Gore Verbinski. This one was just plain fun, maintaining the energy level of a classic Looney Tunes. Many like Spain's "Chico & Rita," but I haven't seen it yet. While Spielberg's "The Adventures of Tintin" was motion-capture animation, it found itself running (and losing) in the standard feature film category for no doubt excellent reasons that remain impenetrable to me. Best foreign film: As I write, I haven't yet seen three of the nominees -- and that cost me dearly the year I hadn't seen "Departures" from Japan. All the same, I believe the winner in this category will clearly be Asghar Farhadi's "A Separation," from Iran. Showered with year-end awards, it already ranks at No. 70 in imdb.com's tally for its Top 250 Films. It is simply a great film, praised by everyone I've spoken to who has seen it. Best adapted screenplay: "The Descendants" by Alexander Payne, Nat Faxon and Jim Rash. An admirable example of sound script construction, beginning with what could have been little more than a sitcom and building to a group of well-developed character studies. The film's issues were important, its conflicts were easy to identify with and its appeal ran deep. Best original screenplay: "Midnight in Paris" by Woody Allen. Although Woody has only attended one Oscar ceremony, he remains an academy favorite, with an incredible 23 nominations since "Annie Hall" in 1977, and two previous wins. "Midnight in Paris" was Allen's top-grossing and most popular film since "Annie Hall," a whimsical invention of his imagination that carried back to Gertrude Stein's legendary salon in Paris. Uniquely among prolific directors with long careers, Allen writes almost all of his own films. My suggestion for him: You're likely the winner. Attend the ceremony for a change and soak up that standing ovation. You deserve it. Once again, here's the link to Enter Outguess Ebert. 2/9: Corrections: In discussing "Best Animated Film," I mistakenly referred to "Hugo" when I was thinking of "Tintin." This has been corrected. Also, the contest is open only to residents of the US. I was incorrectly told by the marketing department that it was open to "anyone, anywhere." You can enter Outguess Ebert here. For more details, read the small print at the bottom of the ballot, or in the Chicago Sun-Times or suntimes.com/win.